Even though OYTIS means nobody, we know the man hidden behind this label is Dino Sabatini a producer of dark mental techno. His sound full of paganistic beats and perversions, dope tunes that can bring you to a mental ecstasis, dancing all along with the Greek Muses on an primal techno rhythm. Wild and spiritual like a Dionisiac celebration. OYTIΣ (=nobody, ancient greek=οὔτις) and this label is named after him. previous releases under both Dino Sabatini and Modern Heads names. Evocative music. Hypnotic, dark, sensual music. A sonic representation of the sensations I like to be possessed by. I can’t really find better words to describe his music. Just listen and activate the unique power of yours through this tremendous sound. 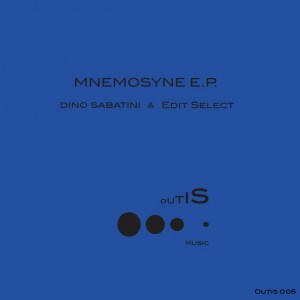 We distinguish the Outis 005 , Mnemosyne EP and this is exactly what we love,too. When the mystery of the past is coming to meet the now with the shape of the three Goddesses daughters of Mnemosyne. This podcast throws you in at the deepend to fully immerse you into that world of deeply primal dancing, have a listen!